The first one sheet has been released for the Harry Potter and the Deathly Hallows films. 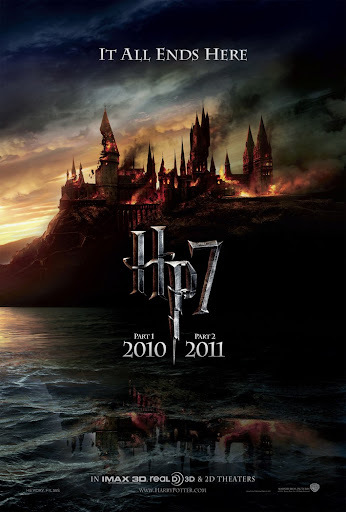 The seventh book in the massive series will be split into two films with part 1 showing in November this year and part 2 showing in July 2011. Seriously, all I want for Christmas is for it not to be a disappointment. Your can see the first trailer and stills which I posted last week: Deathly Hallows (part 1)- trailer and stills.